The pictures above are the Fasting Buddhas in Tsem Ladrang……my home. 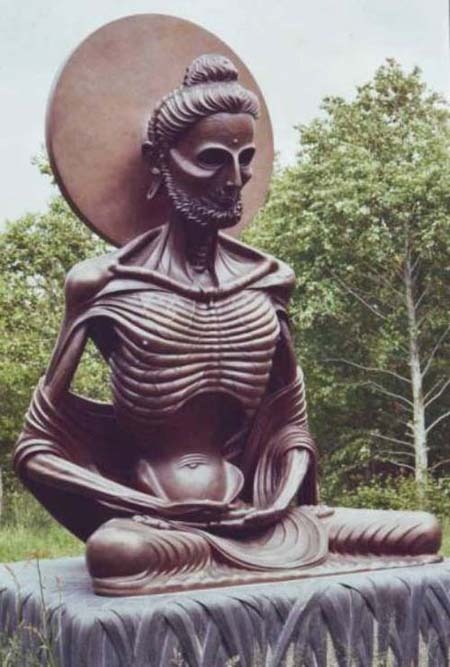 I invited a 3 ft Fasting Buddha home today and on this auspicious occasion, I would like to share some information with you. Fasting is the act of willingly abstaining from some or all food, drink, or both, for a period of time. It is known in almost all major religions. 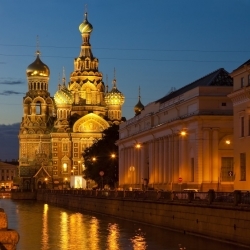 The Lenten fast observed in the Catholic Church and the Eastern Orthodox Church is a forty-day partial fast to commemorate the fast observed by Christ during his temptation in the desert. 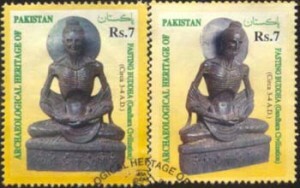 Fasting is also an important part of Hinduism, where some Hindus fast on certain days of the month. Devotees fast on certain days of the week related to a deity, for example, devotees of Shiva tend to fast on Mondays. 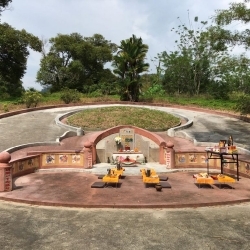 Hindus also fast during religious festivals, such as the Maha Shivaratri dedicated to Lord Shiva, and Navaratri festival or ‘Nine Nights festival’ when the various forms Goddess Durga are worshipped. 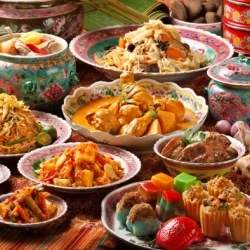 Muslims in Malaysia and all over the world had celebrated Eid or Eid-ul-Fitr next week, on the 30th August this year. This festival marks the end of Ramadan, the Islamic holy month of fasting. They do not eat or drink from sunrise to sunset during the month of Ramadan. Muslims fast to develop self-control and it is a sign of their faith and appreciation. 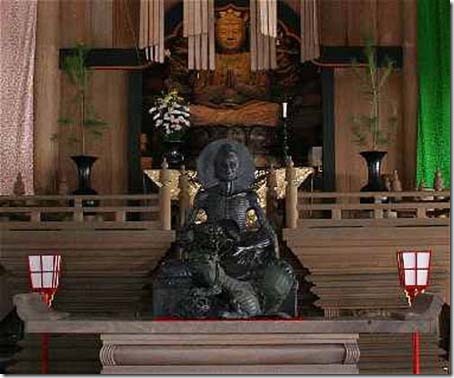 In Buddhism, fasting is considered a method of purification. 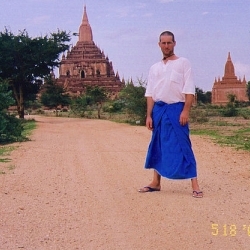 Theravadin monks fast everyday after 12pm till the next sunrise. 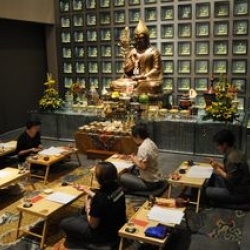 The Tibetan Buddhist practice of Nyungne, which includes holding strict vows and fasting, has been gaining increased attention in Buddhist centers across North America. 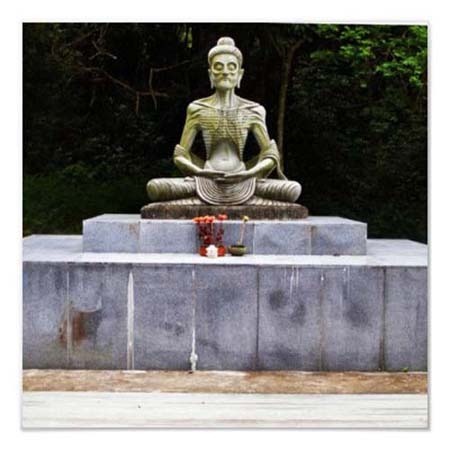 Fasting in Buddhism is to develop control of one’s attachments so the mind can be freed to develop higher awarenesses. Also fasting can be done so that one restricts from a pleasure (food) and dedicate it to someone sick, in need or dying. Basically to restrict one’s body from the normal food intake is to develop discipline, awarness, self control and even appreciation for all one has. 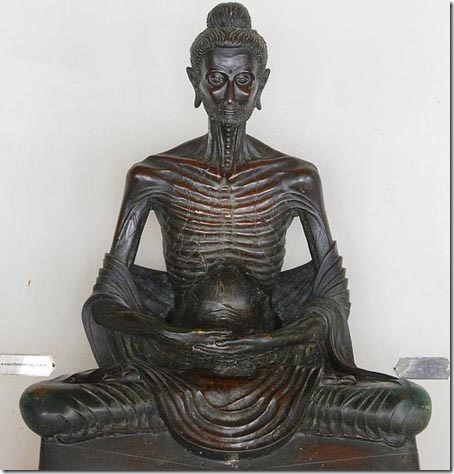 There are two famous artifacts that I know of related to the Emaciated Buddha or Fasting Buddha. Thank Rinpoche Rinpoche for sharing the teaching on the fasting Buddha. It is a great reminder that nothing will come easy and despite the challenges, we should not give up and be persistent. The challenges and difficulties build our mental strength and helps us to appreciate everything much more. And with this we will not take things for granted easily. Buddha show us that everyone can achieve enlightenment if we put effort as all of us has Buddha nature in us. 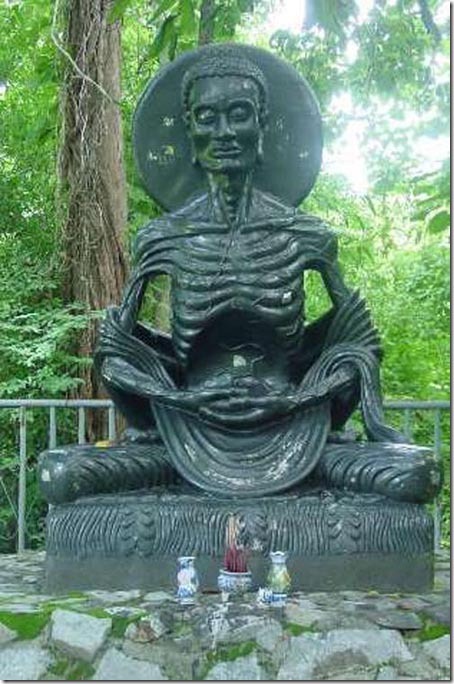 Thank you, Rinpoche, for this teaching of the Emaciated Buddha. It is a great teaching that inspires us not to take things for granted and difficulties are a given in order for us to grow spiritually and develop disciplines. At the same time, torturing the body is the way to be successful on the path of enlightenment, hence the Middle Way, moderation. 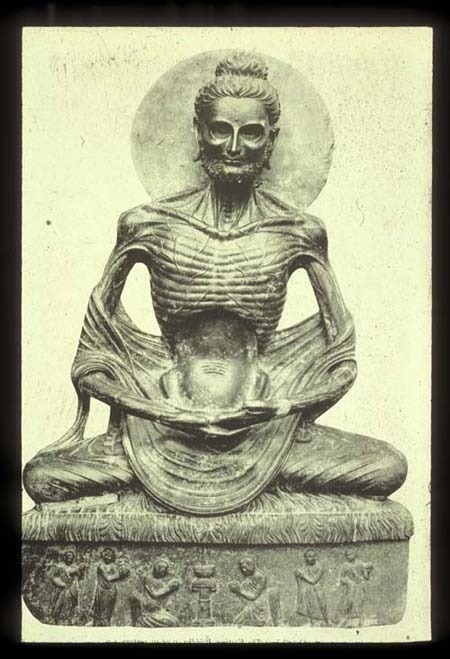 Seeing the image of the fasting Buddha also reminds me that, in this physical form, we are subject to the biological laws of this Earth and that however much we may wish to, we cannot deny the fact that we need to breath and drink and eat. Therefore there are also other physical laws that our biological body has to obey. 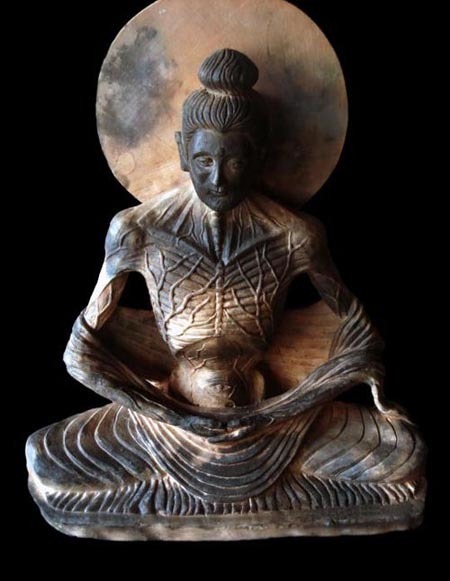 Just as Buddha has to eat finally,lest he perish without having achieved his goal, we have to admit that we have to take care of our physical body too. If our body fails us, then we cannot achieve anything. Just like if we were paralyzed, we cannot physically do the full length prostration. We can only do alternatives. If we can accept our limitations and work with it rather than against it, we have a chance of achieving something. 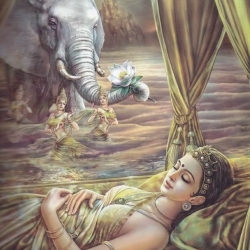 If the Buddha has decided to be stubborn and continued with his fasting, he would have been so weak that he would not have achieved the most important final stages to enlightenment. We can try just as the Buddha did, but we also have to know how to find our limits, push it a little at a time but not be foolhardy and bite off more than we can chew. That is how I feel every time I see this image. 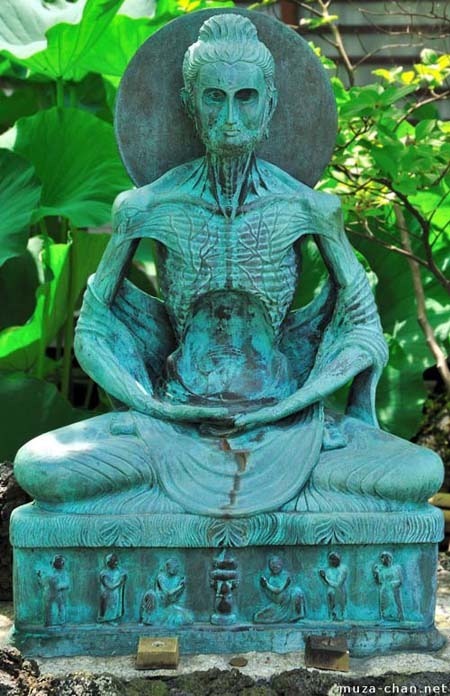 I’ve been looking for a fasting Buddha image, where did you get yours from? Hi Leroy! His Eminence bought this in Thailand many years ago. I saw a 13″ one that is similar to what we had here https://www.lotussculpture.com/small-starving-buddha-statue.html. The picture attached here is my personal one that was pre-loved by His Eminence few years ago. 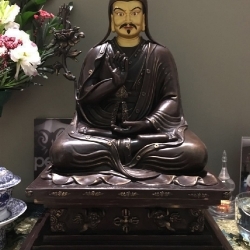 We have a Naropa’s Cave in Kechara Forest Retreat (Bentong, Malaysia) that sells His Eminence’s pre-loved items where all proceeds go to support His Eminence’s online work including the maintenance of this blog. 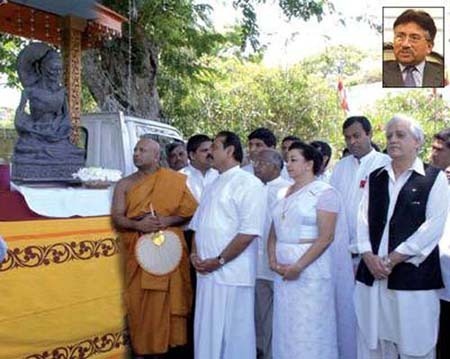 I wish you all the best in inviting your Fasting Buddha and thank you for visiting His Eminence’s blog. The importance of Fasting Buddha is to remind us that there will be much difficulties in the process to enlightenment and we must overcome them before we can finally achieve success. Fortitude and diligence are the accessories to overcoming the difficulties. It took Buddha six years of hardship and extreme fasting to gain realization on the “Middle Way”, what more for clowns like us? Thank you, Rinpoche for this teaching. 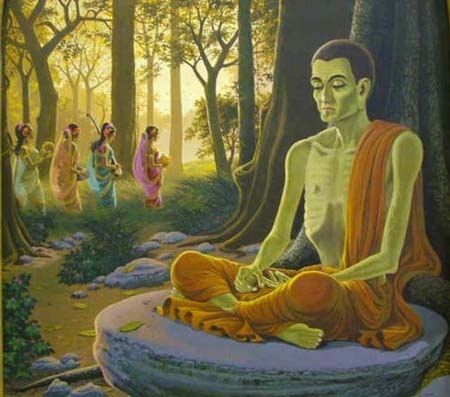 It is interesting to note that when Lord Buddha started to fast excessively, He did so after determining that desire was the root of mortality and had thought that by ceasing to eat, He could end desire and be liberated. However, as His body wasted away from starvation, He came to realise that fasting per se did not extinguish desire, it only subdued it. And that desire could not be ended by force but by transforming the mind since desire is rooted in the mind. 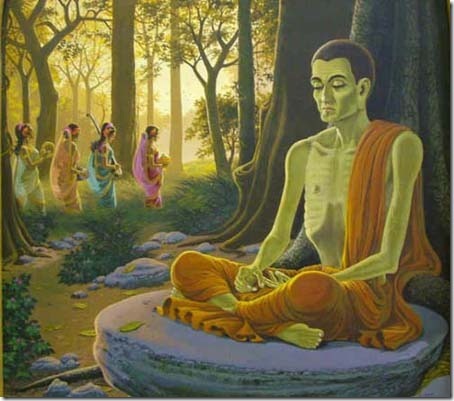 Thus, Buddha discovered that fasting serve to facilitate the process of transforming desire to wisdom by subduing the body’s coarse desires but the focus would be the ‘middle path’ i.e. avoiding excesses of fasting and feasting. Another point which stood out for me “Difficulties build mental strength, purify negative karma, instills self respect, and helps us to appreciate everything much more. Nothing is to be taken for granted. Seeing this holy image blesses us to remember that difficulties on the road to enlightenment is not negative but part and parcel of our journey. To be experienced, to learned from it, to understand from it and to ultimately grow from the difficulties we experience”. 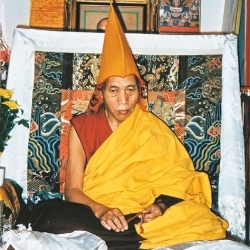 Thank You Rinpoche for such great knowledge and insight on the fasting technique. I agree that not much can be gained by fasting only. Thank you Rinpoche for the sharing. 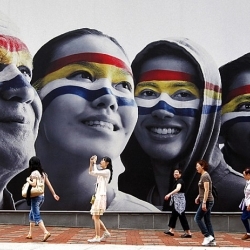 The images remind us to be persistence, fortitude and diligence. For anything to be successful we need fortitude and diligence. We should practise “middle way”, a path of moderation away from the extremes of self-indulgence and self-mortification, the central tenet of Buddhist practice. This teaching truly teaches and illustrates to us to realise that even Lord Buddha himself, requires sacrifices, much suffering, pain and wisdom of not wanting things only to go exactly a certain way. When we solidify an idea we cling to, and believe in it, wanting it to go that way,we’ll be making trouble for ourselves. Lord Bhuddha’s physchology teaches us to free ourselves from such kind of grasping, but not to give it up in an emotional way, but rather to take the middle way, rejecting the extreme! By putting our mind wisely into this middle space, we find happiness, dwelling in peace and joy! 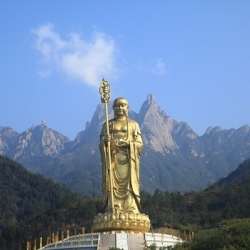 Dear Rinpoche, thank You for sharing the information about Fasting Buddha, I never knew that other countries have the statues of the Buddha as well. Buddha really took in everything just to benefit others, it is very inspiring! If just we have people like this(not literally starve like Buddha did), but have some kindness towards other like feeding the poor or animals, the world would be a much more better place to live in. 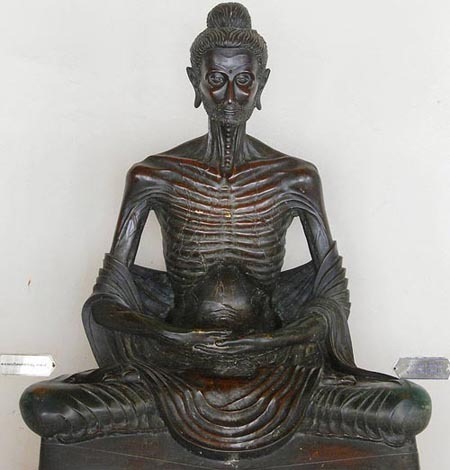 I was not entirely a fan of the fasting buddha when I first gazed upon this form of the buddha. But now that I understood more about what Shakyamuni endured to find enlightenment I am now a big fan of this form of Shakyamuni. 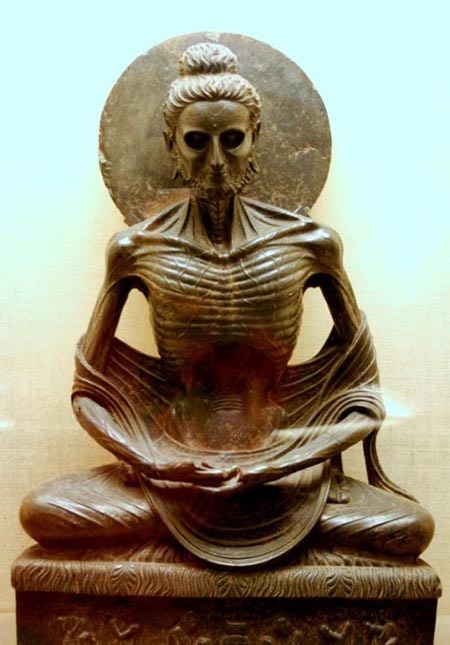 He looks as if all the suffering of all sentient beings was on Buddha’s body. 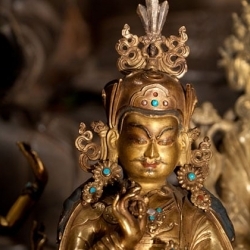 Dear Rinpoche thank you for sharing these beautiful Buddha images with us. Indeed during our spiritual journey we really encounter a lot do obstacles that sometime we do feel frustrated but when we contemplate about it all these problems that we are facing is to strengthen our mind and to train us to be strong so that we will not give up and endure all these difficulty with posstive and calm mind so that we can continue our spiritual practices . 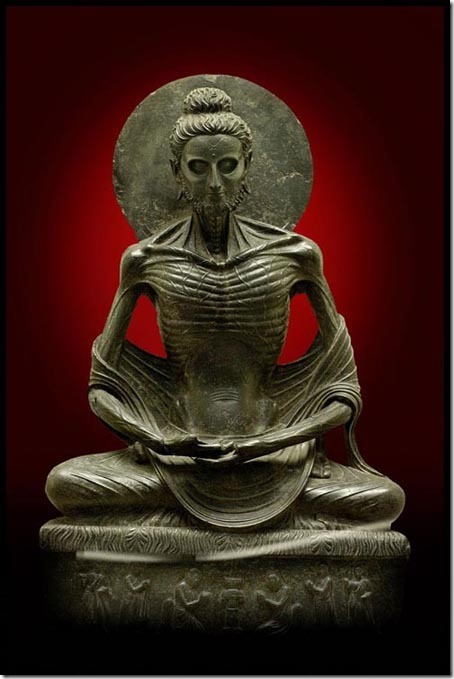 Now i know behind this powerful image of fasting buddha there is a profound dharma teaching in it. Thank you for sharing. In our spiritual journey, we will without doubt face with a lot of difficulties and obstacles. 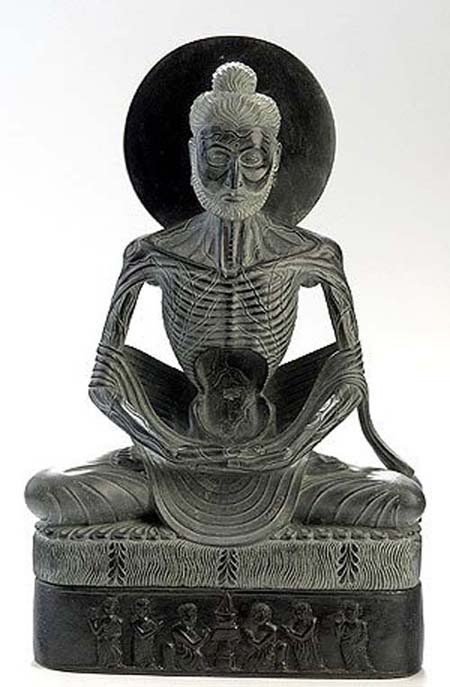 This explanation of the Fasting Buddha serve as a reminder to all spiritual seekers to remain steadfast, endure the difficulties and also be diligent in seeking the guidance of a qualified spiritual guide. Otherwise one might end up of the wrong path. I have always see this Buddha at places, and i have always wondered what kind of Buddha it was. Well now i know. It is truly very interesting. I like the background about this Buddha and now i can really understand it. Thank you for sharing this with us Rinpoche, and the pictures were very nice and well taken as well. 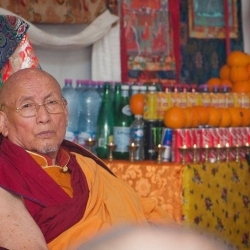 Thank you Rinpoche for this beautiful teaching on the fasting Buddha. 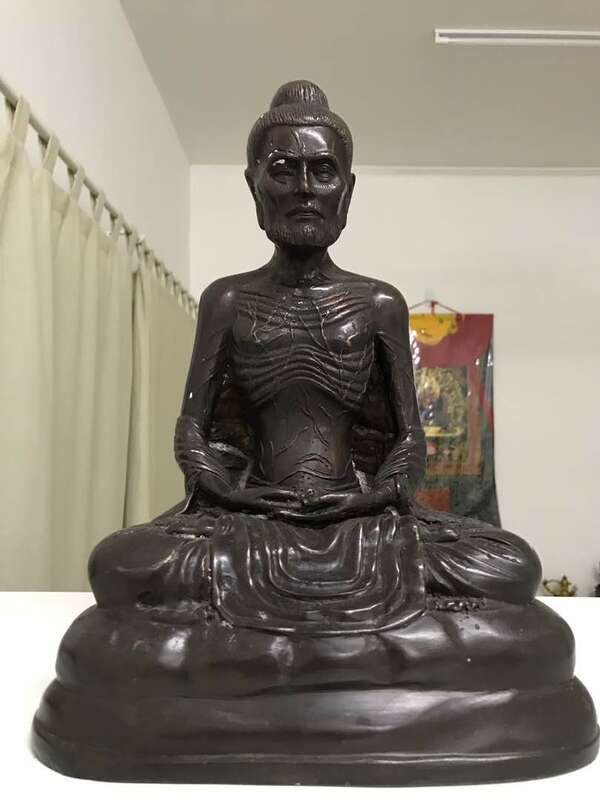 First of all, we learn awareness of not looking at the outward appearance of a Buddha statue and reacting to it as we would otherwise do,from a mind of gross negative habituation and obscurations. The image of the fasting Buddha teaches us and inspires us to recognize that difficulties are part and parcel of our journey to Enlightenment. 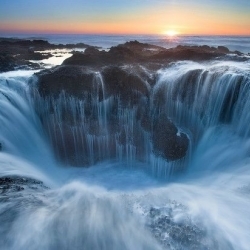 There can be no Enlightenment, without the enduring of difficulties . However, the enduring of these difficulties must be accompanied by the motivation of benefiting others. only with this motivation would whatever we suffer become meaningful. 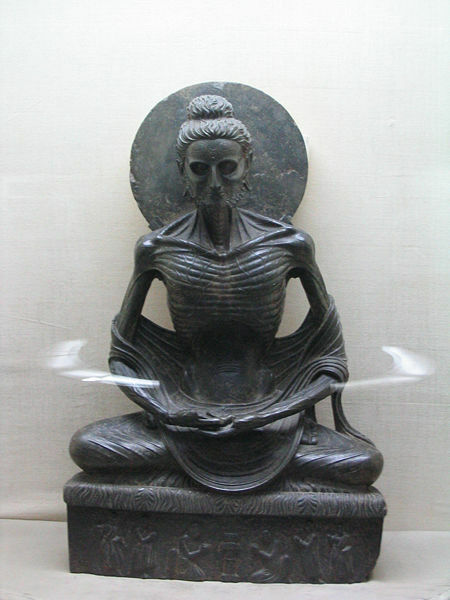 Though Lord Buddha came to realize that fasting and abusing the body was not the correct method to gain enlightenment, the six years of fasting did have very powerful results. When Buddha’s mind was not distracted by desire or attachment of any form, it was able to attain single-minded focus and the state of calm abiding,and with this,Buddha was able to develop all the insights of wisdom and also non-dualism and gain enlightenment. 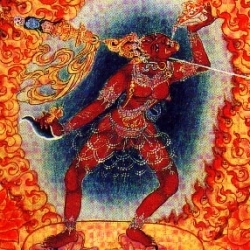 Whenever we see this image, we are inspired to realize that developing fortitude in the face of suffering, and gaining wisdom are very important.Also we make a connection/ an affinity to the fasting Buddha and create the cause/karma to be able to have endurance, tolerance and to develop a high degree of diligence to have great fortitude. 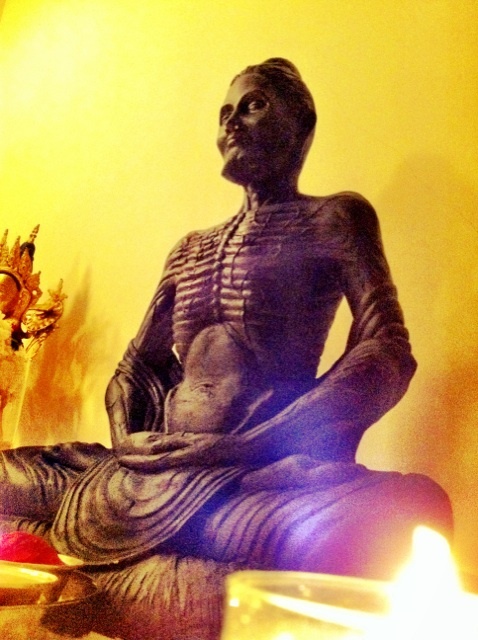 The Fasting Buddha pictures above really make our eyes open. Thanks for Rinpoche sharing and the story of Fasting Buddha. 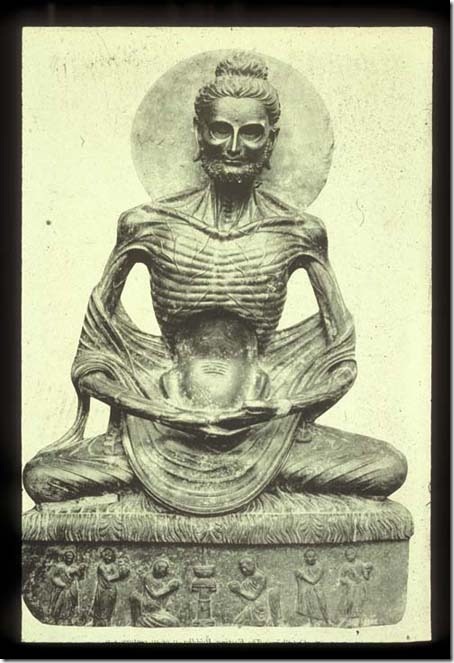 Dear Rinpoche, I wonder how Siddhartha managed to meditate and fasted for six years without stopping, it’s not that I don’t believe the story but even a Buddha can’t starve for six years straight. By the way, I really love the statue design of the fasting Buddha that Rinpoche have. 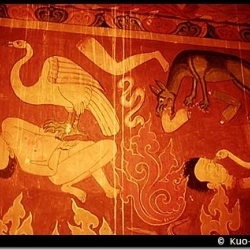 This is a spectacular image of Buddha Shakyamuni because he is showing that is willing to place himself under such torment in his ordeals to help other sentient beings. This is truly admirable and should be done by other people too. These images are beautifully crafted as a symbol of what Prince Siddharta endured in his practice before he gained enlightenment. 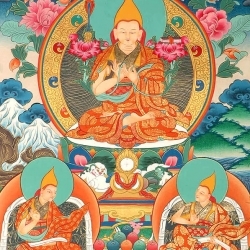 Likewise, images of other beings who have gained enlightenment are also made to provide practitioners as an aid in their meditation to achieve what that being had attained in his/her lifetime. 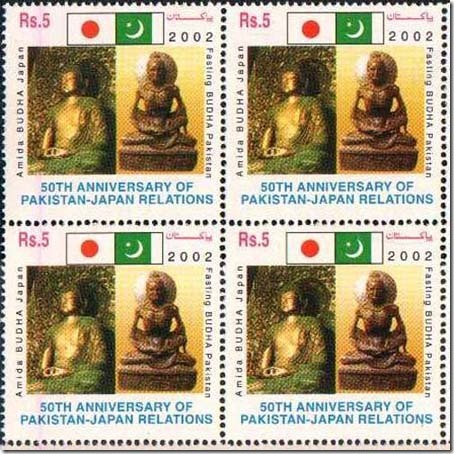 Hence images in the form of painting or statue is not for ‘praying’ to (idolatry)as most non Buddhists think. Thank you Rinpoche for showing that althought we need to be committed, we should also remember to be balanced and follow the middle path. how can i make fasting without having headache?do you sell books that explain how to make an efficient fasting?Do you have groups or a temple in Brazil? Was wondering why you might be interested in fasting? This is really an amazing statue of the fasting Buddha. I really love the images and thank you Rinpoche for sharing them. I want to purchase one and place it in my room somewhere. Hehe! 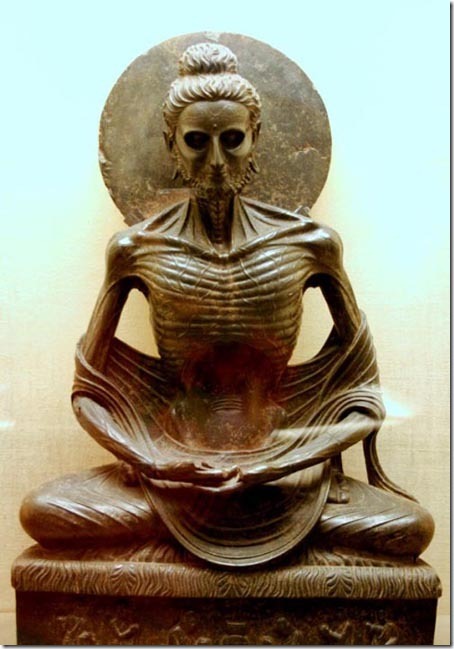 The Fasting Buddha shows how much the Buddha had sacrificed so that he can become Enlightened. 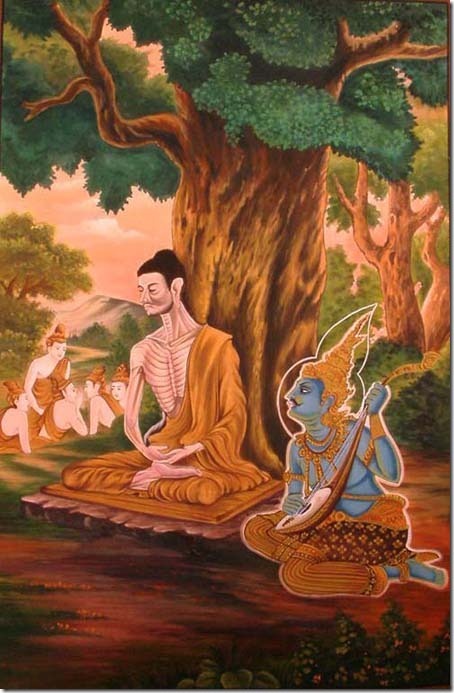 It is also to show that if Buddha can fast for the benefit of other sentient beings. We can do the same too! This picture is so meaningful. It just reminder that there is no “short cut” to be successful, no matter how many obstacles or suffering , one day sure can achieved if never give up. At the slightest suffering, people’s first thought is to quit, to give up. Why? 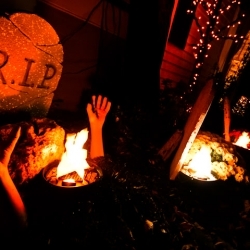 Becuase we are not use to “sacrificing” ourselves to gain more for others. This form of Buddha reminds us that nothing in life comes easy, and definitely not spiritual attainments. If Buddha endured what He did for enlightenment, imagine what we have to work towards to even get anywhere close to that. 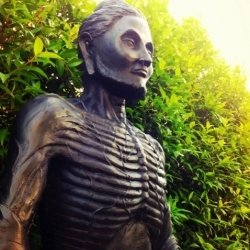 I actually saw this statue for the first time in Bangkok when I was there last year. 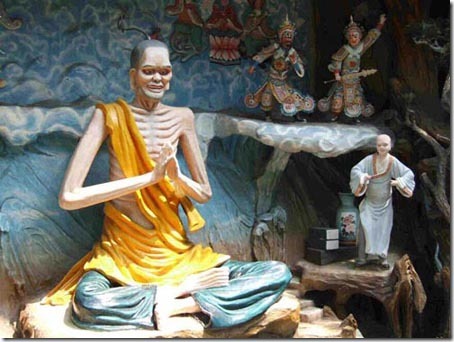 It was in the Wat Muang temple and Rinpoche saw this statue. 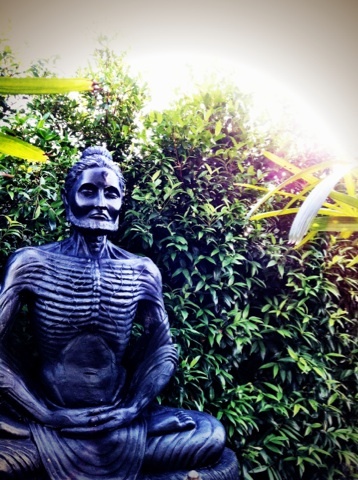 He immediately told us the story of what Buddha did and put his body through to gain attainments. Quite amazing. I love this form of Buddha for it teaches us discipline and perseverance. 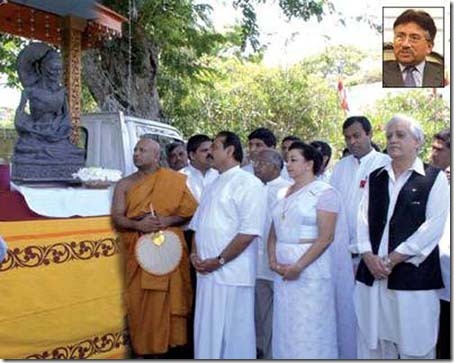 Buddha joined the other 5 yogi to go into deep fasting meditation. 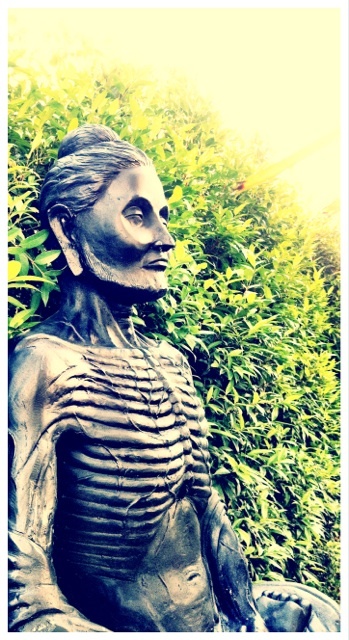 He was told that the body was the reason or cause of the sufferings. 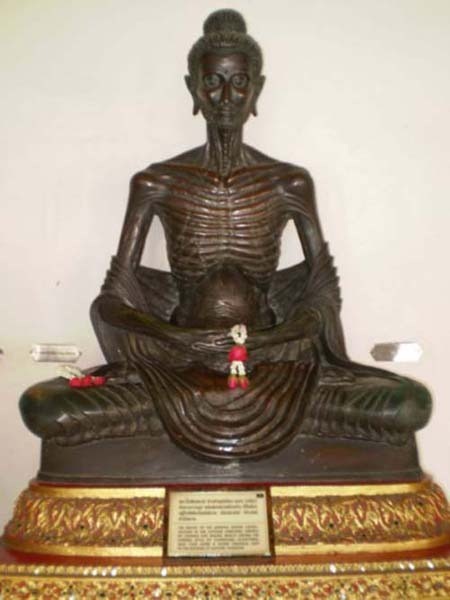 Buddha almost die after torturing himself with very little food, exposing his body to the hot and cold weather for very long time. Then Buddha suddenly remembered of how His step mother fed him when He was still very young. He realized that we do not have to tortured ourselves in our spiritual path. We must always find the middle path. The way of the Buddha – the middle path. This image reminds me of this great Philosophy of Buddhism and that is why we find it so logical. 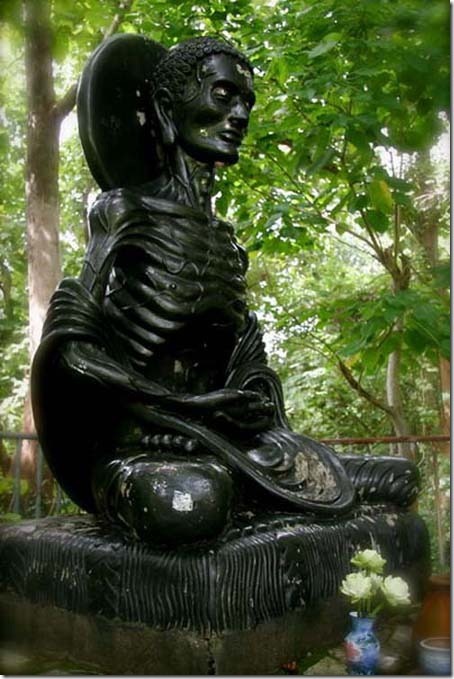 This image of Buddha also tells me that even though Buddha went through so much pain and suffering to seek his goal, he never gave up, and he diligently went through it and learnt from it. 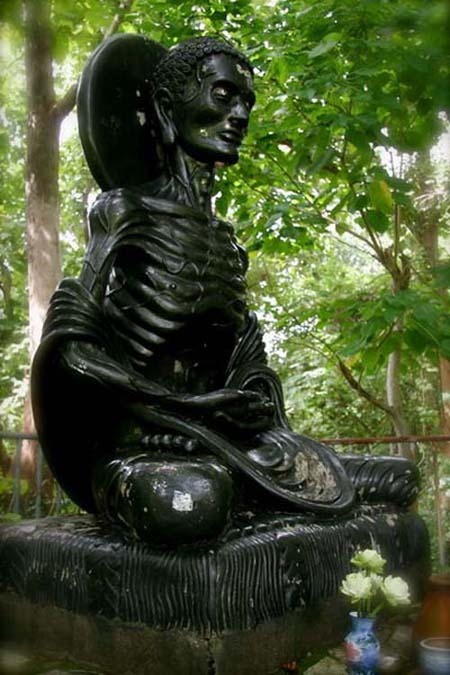 He did not know that what he was doing by starving himself was wrong but the fact that He was determined to seek Enlightenment shows great strength and discipline in seeking the truth which is an example we can follow in our own spiritual quest for every mistake comes a lesson. Hence no matter how difficult the task, we should never lose hope and never give up. We need to also be diligent and never give up just as Buddha has till we gain that ultimate awakening. This is definitely a powerful image of the holy one. Thank you Rinpoche. Very “powerful” statue. It show the determination, the persistence, the focus! So powerful as a reminder: to achieve and to gain Dharma (Enlightenment) , no matter what happen; what kind of obstacles, the hallucination, the pain, the desire, the attachment; is reminding me, to learn to overcome, to push away the negativity and AIM to be success! No matter what happen- Dharma come first! Thank you Rinpoche. 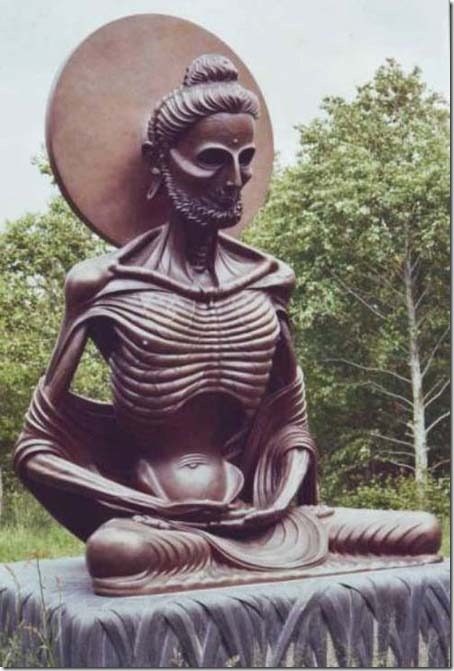 The Fasting Buddha makes me to think of whatever difficulty i am facing in current life will never be equivalent to Buddha’s sacrifices in order to achieve enlightenment and passed the teaching to us. This is very inspirational to me! 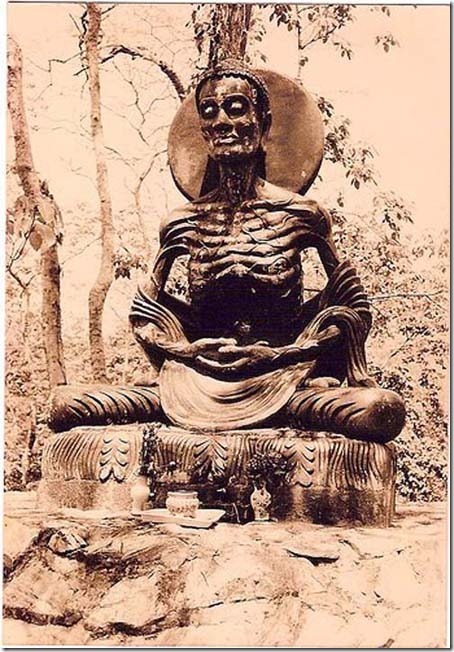 I have seen the picture of the BUddha many many years back I was filled with some revulsion and did not take of it as a particularly nice image to have around or to look at. Buddha’s strength is enormous as he cuts of his attachment to indulging into food. 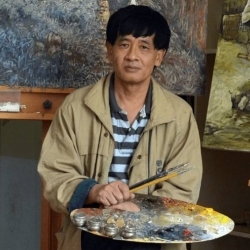 It takes a lot of courage and determination to reach the practice, I could have imagines. As I am writing now, i am thinking about food! 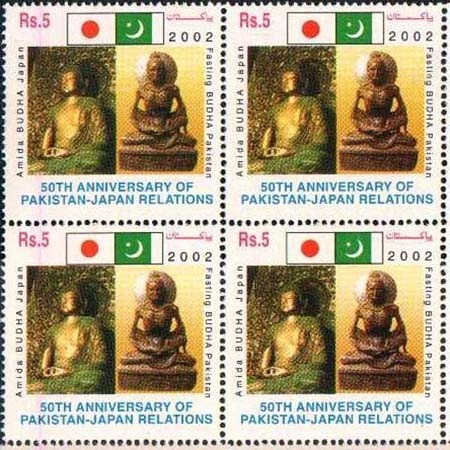 Nevertheless, the images are beautiful and are great reminders that Buddha has gone through a lot of hardship to gain enlightenment. As we are not buddha, we would need more determination and strength to go on with our journey to enlightenment. 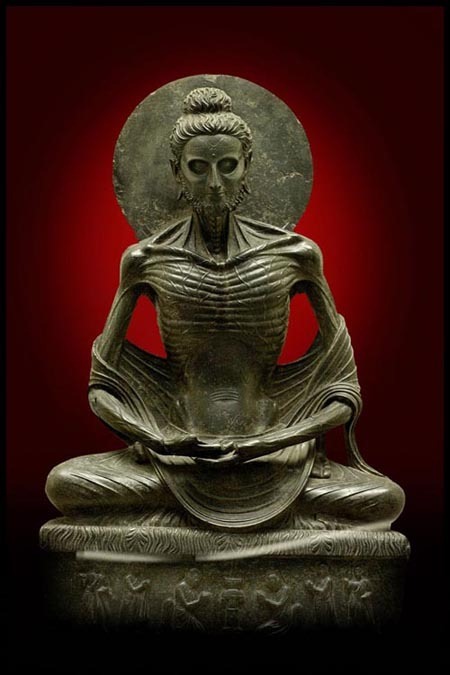 These images of fasting Buddha are very beautiful. This is the first time I had a glance on it. 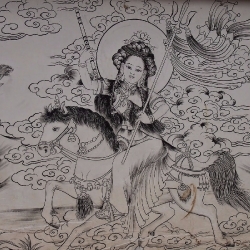 Usually, we are faced with Buddhas images in its grandeur. But we hardly have a glance on the process on how they achieved those grandeur. Maybe because we don’t see the hard process, we tend to undermine the process. Thank you Rinpoche, I love these images and wish to have the opportunities to invite this particular image in the future. Thank you Rinpoche for the above post. It is truly remarkable knowing that Buddha took so much sufferings just for the sake of realizing everything. To be able to suffer so that we can gain from his sufferings. I pray that we will be able to achieve what Buddha believe that all of us can do. 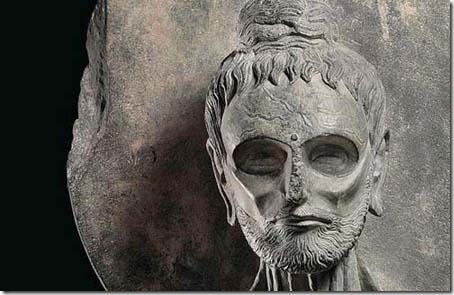 Achieving Enlightenment…. Thank you Rinpoche for sharing with us the Fasting Buddha. It is a beautiful sight, historically significant & spiritually important. 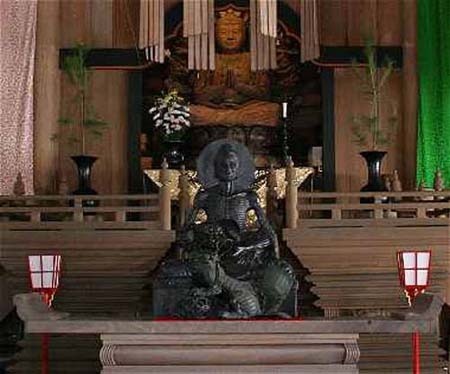 This Buddha image is totally different from the normal Buddha Shakhamuni that always be seen in the major Buddhist temple. Just like what Rinpoche shared in the article, it has a very deep teaching behind it, which is let go on our outer attachment and develope inner awareness. 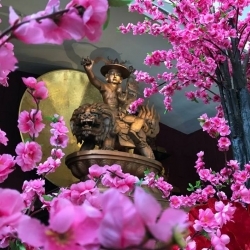 Rinpoche always mention we as a Buddhist will never worship any statue but the meaning behind the statue, every different Buddha images represent different teaching and method. By praying, praise or make offering to these quality of the Buddha, we creating the course to have a body, speech and mind just like Buddha. The altruism mind of a Buddha is the most powerful practice, because when we let go of our ego, nothing can harm us. 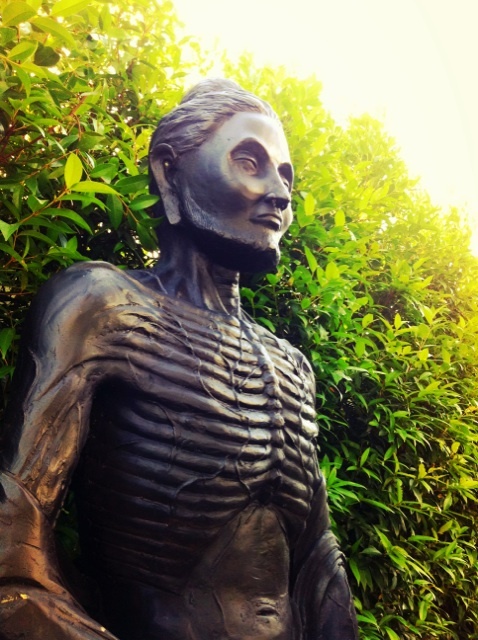 Rinpoche have kindly placed this fasting Buddha statue outside in the garden, because Rinpoche hope all being that see this Buddha image will leave a altruism seed in their mind, and one day all of us will be release from suffering that cause by our own ego, desire and etc. Thanks Rinpoche again for sharing this. When we were in Bangkok, Rinpoche told Bryan and Ethan to look for Fasting Buddha statue in Bangkok. 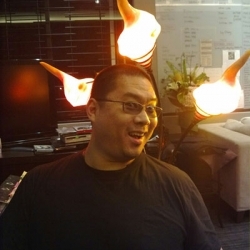 Rinpoche mentioned that Rinpoche would like it so much in our ladrang. It was amazing that when Ethan and Bryan came down from the taxi, imediately they saw the Big Fasting Buddha sitting in front of them. Buddha himself has to put in so much effort for enlightenment, how about us? 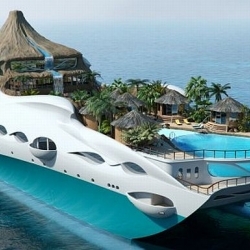 We want leisure and not able to put up with difficult situation these days. Luckily we have facebook, blog, twitter etc, so that we can still spread Dharma, learn Dharma through Internet. We cannot stay in long Meditation like Buddha, Milarepa as we have too much distraction these days, hence Dharma work like maintaining a Dharma website, blog, sharing are wonderful way for us to practice. 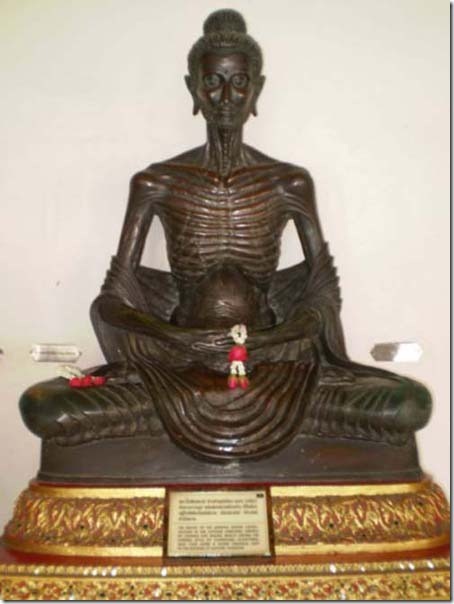 When I first came across the fasting Buddha was in Thailand. I liked the image so much and the meaning behind it. It was a beautiful story but not just a story, it was a teaching itself. Buddha endured so much pain and experience so much to become enlighten just to benefit us. And some of us even skipping a meal would be like the end of the world… It really reflects how narrow and petty we can be. Without Buddha going through such pain, we can never be helped. I suppose we are still indulging ourself with more attachments. This image is an inspiration and a reminder for us about difficulties, pain and suffering. And Buddha also prove to us that enlightenment is possible if we want to. I love the images, it is so beautiful and meaningful. 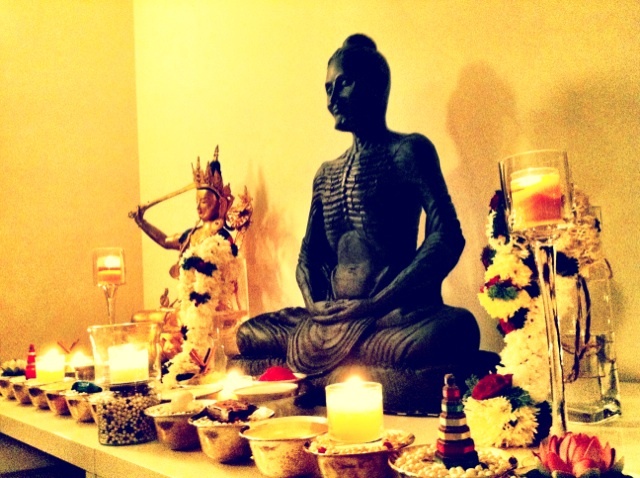 So alive, and to this day, I really like to have all fasting buddhas on altar. Thanks for sharing Rinpoche. 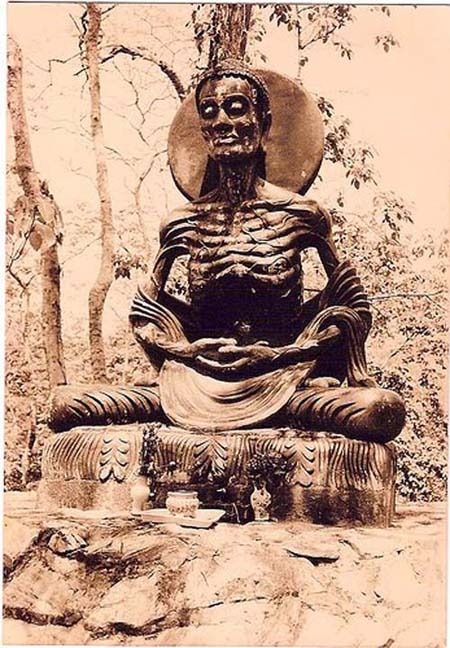 I remember reading in a book that the fasting statues of Shakyamuni Buddha were HIs Holiness the Dalai Lamas favorite because they helped to illustrate the point that reaching enlightenment required great effort and great sacrifice. Thanks again! 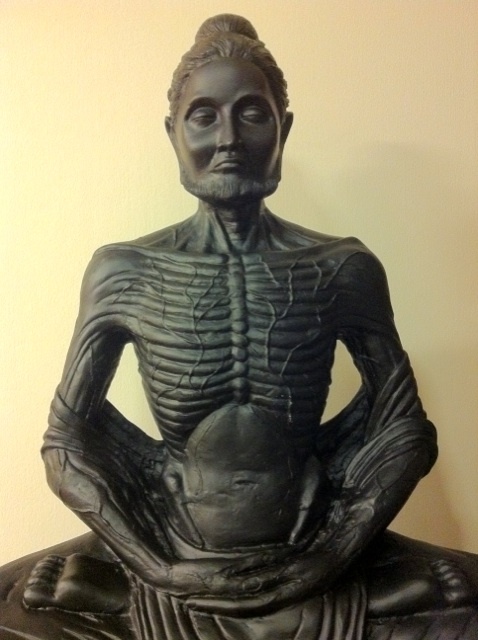 For me this is the most impressive image of a Buddha. I am amazed by the spiritual force that it radiates! Thank You so much Rinpoche! Looks a weak and frail body, but this image gives me a very strong impression as He could to overthrow the entire universe with just a simple thought. Also, watching Him, I feel infinite peace and security on The Path!